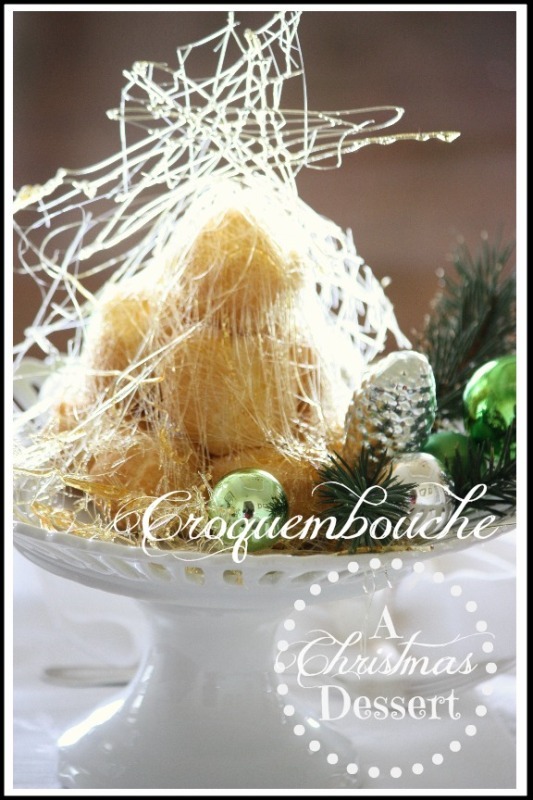 Croquembouche… even the name sounds delicious!! 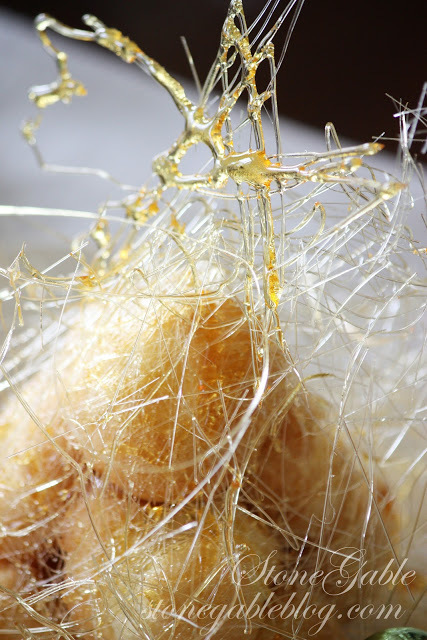 Croquembouche is french for “crunch in the mouth”… and it I certainly does! 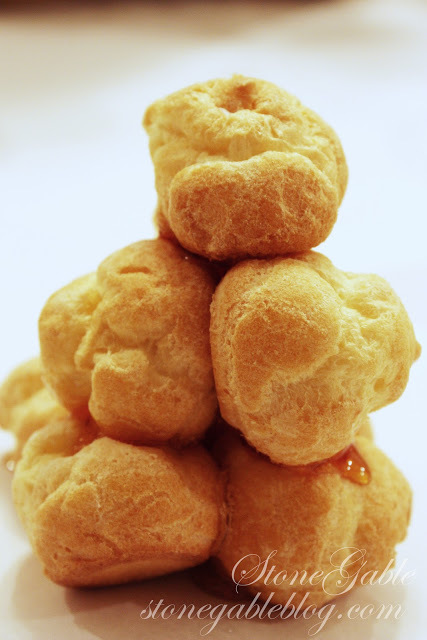 Made with profiteroles, or cream puffs, Croquembouche is a tower of heavenly whipped cream filled pastry shells… under a golden spun web that crunches with caramel sweetness! I downsized the traditional tall-tower-of-a-dessert to make scrumptious single-serving portions. 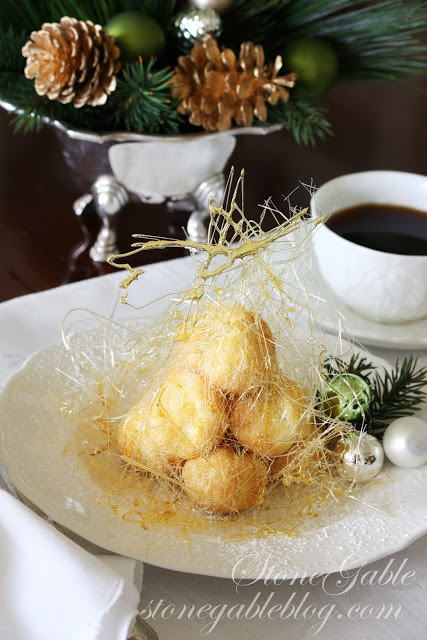 Croquembouche can be made several hours ahead and refrigerated. 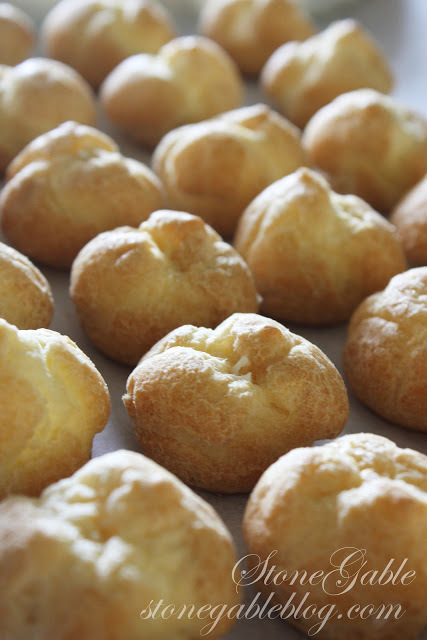 Profiteroles, or cream puffs, can be time consuming and a challenge to make. So let’s skip that laborious process and buy them. Most grocers carry good quality profiteroles in their freezer section. 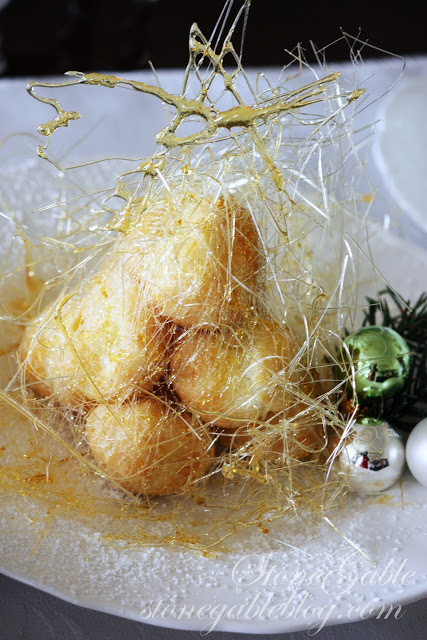 You will need eight profiterole for each Croquembouche. Keep the profiteroles frozen. Because spinning sugar can be a little messy and the sugar threads stick to everything, cover your work surface with parchment paper. Work directly on your counter covered with parchment. The caramel for this recipe will be a beautiful golden color and form threads called angel hair. These treads will be thin, hard and shiny. They make a breathtaking presentation! 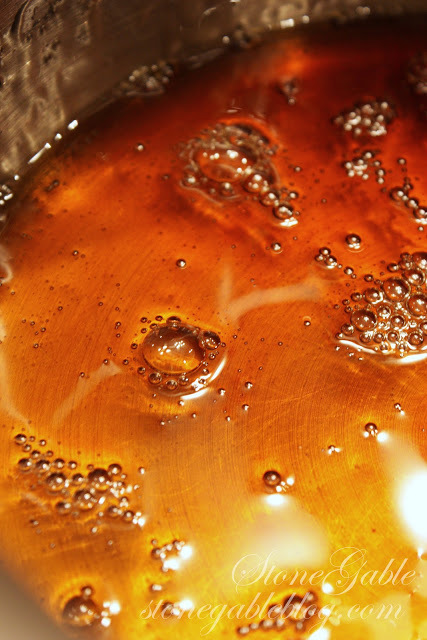 Making hard crack caramel is easy but extra caution is needed. Caramel reaches very high temperatures and can cause severe burns. With a little care caramel making will be a pleasant experience. Never touch the caramel until it has cooled and keep a large bowl of ice water ready for any mishaps. If you should get any caramel on you plunge your caramel coated area in ice water immediately. Watch pot handles and make sure your saucepan is on a stable surface at all times. Put sugar, corn syrup and water in a medium saucepan. Heat over medium flame stirring very, very gently until sugar dissolves. Once sugar has dissolved put a lid on the syrup until it boils for about 3 minutes. Remove lid. DO NOT STIR. Just let it gently boil. Insert candy thermometer. Keep your eye on the thermometer! it on a heat safe surface at your work space. It may need to sit several minutes to cool a little so you can spin it. 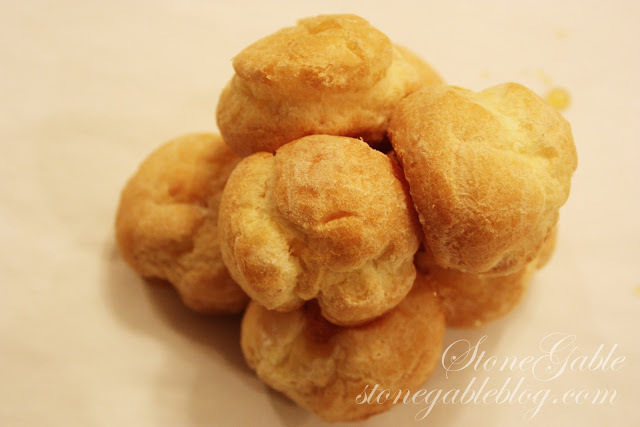 Use four profiterole for the base of the Croquembouche. Dip the side of each profiterole into the caramel and use it as a glue to stick the base together. Use three profiteroles for the next layer. Again dip the side of each profiterole in caramel and adhere the next layer together. Dip the bottom of the last profiterole in the caramel and place it on the top of the tower. It should resemble a triangle or cone shape. Now for some great fun! The caramel should be a little thinner than the consistency of honey. 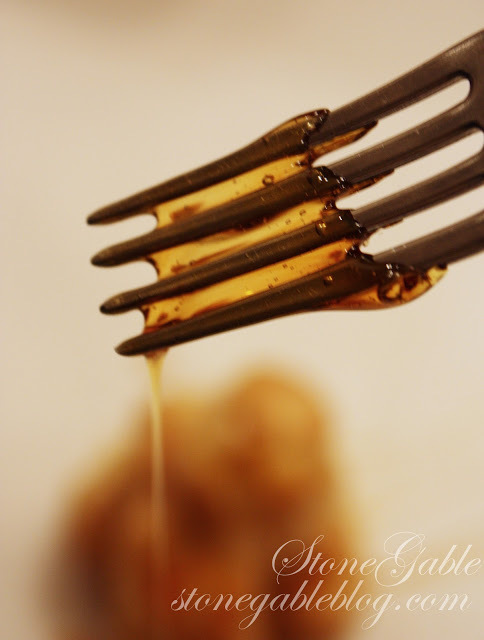 Dip the top third tines of a fork into the caramel. Using a flicking motion and swirling motion high up over the profiterole tower, spin the caramel onto and around the tower. Keep spinning the caramel layer upon layer, until it looks like a nest of gold. 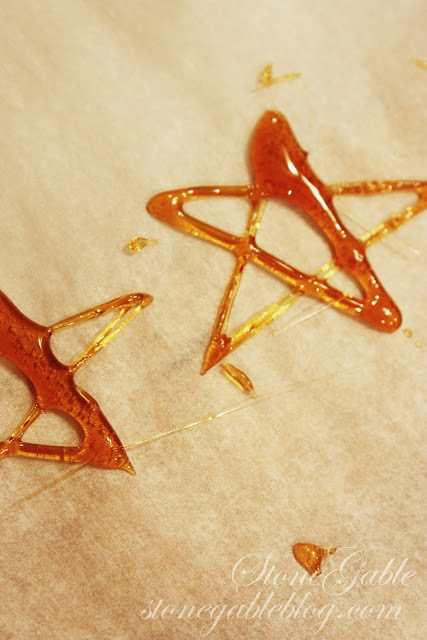 Drizzle star shapes on a piece of parchment and let them harden. They can be perched at the top of each little tower for an extra sweet touch! When the caramel becomes too hard to spin, pick some up on the tines of a fork and being careful not to burn yourself, use your fingers to grab a small bit and pull it away from the fork. It should make a beautiful long strand of spun sugar. Pile these on parchment to use on the Croquembouche as an embellishment. If the caramel gets too hard to use, it can be gently reheated until it will spin again. 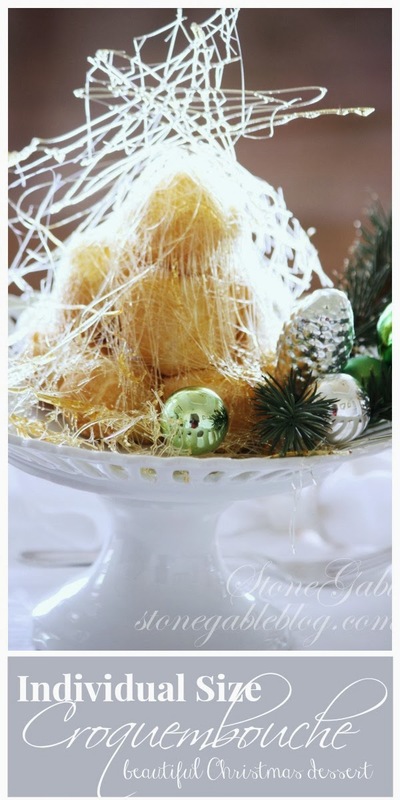 Gently remove Croquembouche from the parchment paper and center on a confectioner’s sugar dusted plate. 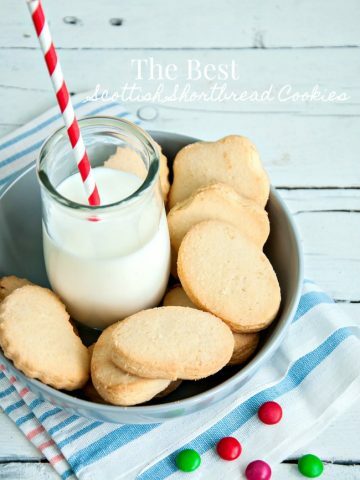 Add any extra spun sugar and a spun star. Embellish the plate with greens and small Christmas balls. Serve with flair! Watch the delight as your guest eyes light up and collect the accolades they lavish upon you! 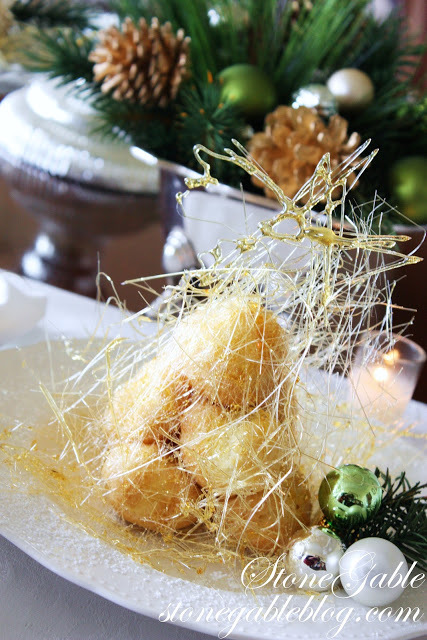 Eat Croquembouche in the traditional manner… with your fingers! I made this once. It was a lot of work but looked as beautiful as Martha’s (I followed her recipe and presentation). Unfortunately I made an error with the gold spun sugar and it was a fight to pull it apart! LOL! What a neat idea to have individual ones! 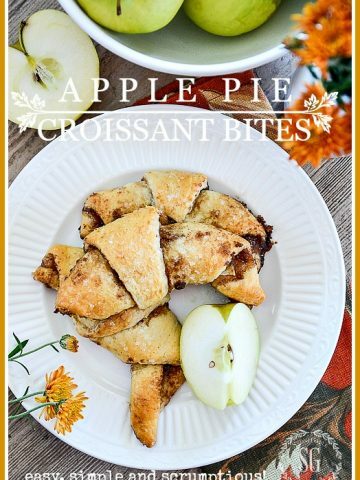 Such a gorgeous presentation!…I saw Martha Stewart demonstrate that years ago…I love your individual ones!!!! All I can say is WOW! You sure make it sound easy, but WOW. The individual ones are brilliant. So so pretty! This is stunning Yvonne! 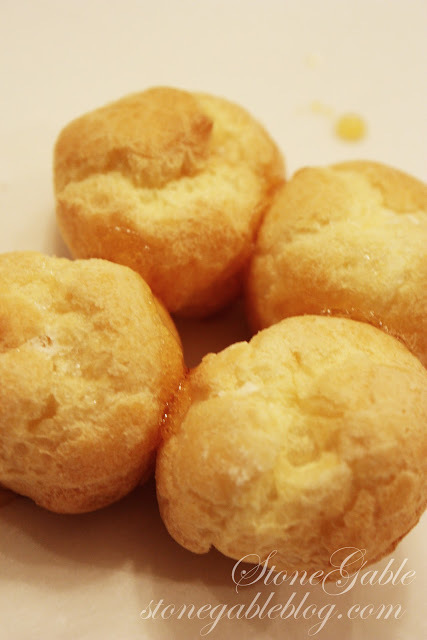 When I made this I took the easy way out and used ready made mini cream puffs. Individual size is a great idea. Merry Christmas!! I really want to make one like this. I love the pattern which was creating by sugar. It is super creative. The finishing looks great and also the colour. 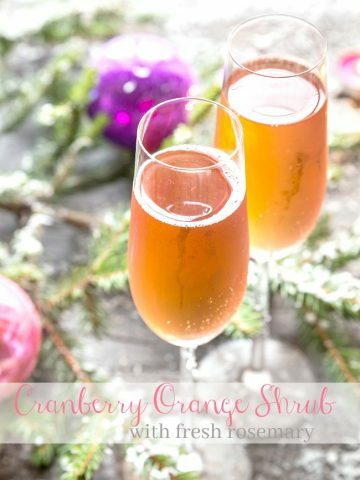 I’d surely try this for my Christmas desert and hope everyone will like it. OOOh la la – tres bien! Oh the French certainly can create sin with sugar, can they not? Your creation is award winning! Yay! 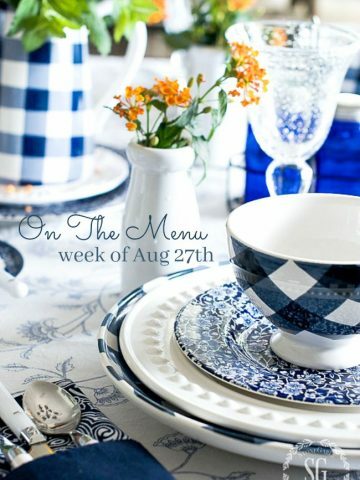 One of these days I may just try that – thank you so much for sharing! I hope I can accomplish this fete, your directions and lovely pictures make it look very easy. But who knows what mine will look like. I may get all tangled in a cage of spun sugar. Love your wonderful blog. No doubt as delicious as it is pretty! Oh my gosh Yvonne I would love to have one right now!! Very impressive! Your photos are beautiful. It turned out so lovely! I’ve always wanted to make this but I’m so intimidated. Your instructions made it seem easier; thanks! Beautiful and oh so fancy!! I bet it’s fun to make! How should they be stored until they are ready to be served? Thanks for another great tutorial, Yvonne! Hi Amber, Great question. I think they can be stored uncovered in your refrigerator for up to 6 or so hours. I have not made them and kept them any longer than that. I’d like to see if the spun sugar would not get too wet if I let them sit in the frig overnight, but have not tried that yet. WOW factor of the presentation. Yvonne: I love this post and wonder why I never thought of buying the frozen puffs!! I made a towering croquembouche years ago using the recipe in Martha Stewart’s Entertaining cookbook. It was wonderful but very labor intensive. Thank you for stepping forward to making it more doable!! I have always wanted to make one of these, they are so beautiful! These are one of my favorites. Lovely!